Would you like to know more about how Toastmasters can help you become more comfortable at speaking in public? 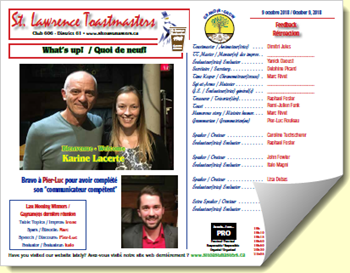 Feel free to visit the Saint-Lawrence Toastmasters Club in Montreal. Here is the programme for the meeting of October 9, 2018.